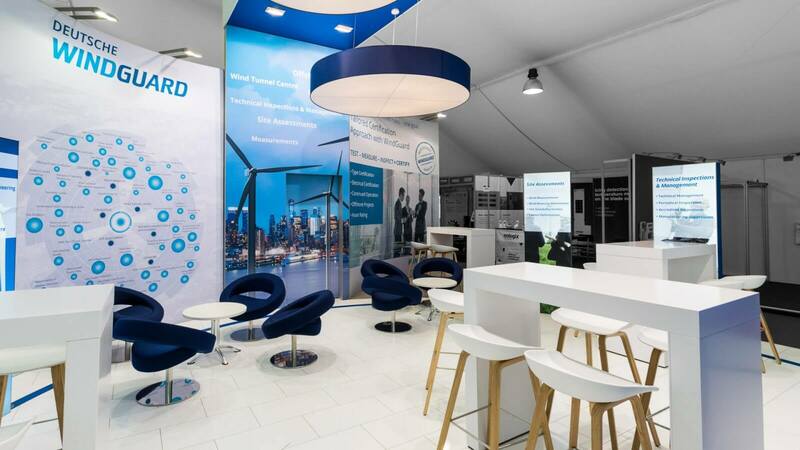 Turbulent times in the wind energy sector: at last year’s HUSUM Wind, the trade fair grounds had to be evacuated on one afternoon due to storm-force winds. 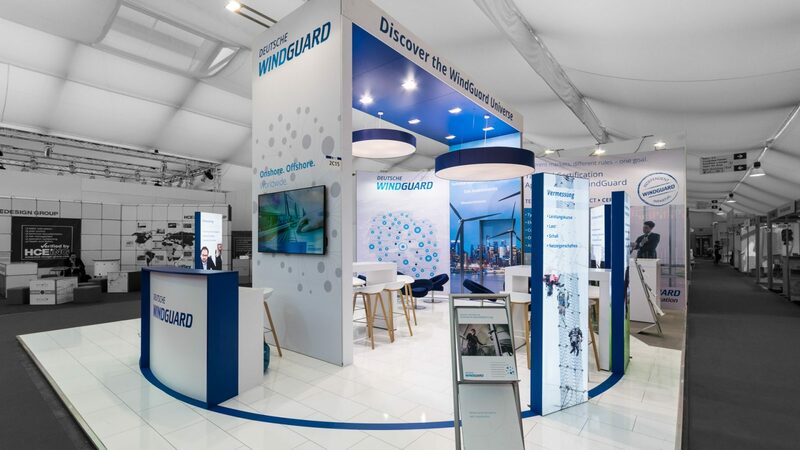 By contrast, we ensure that the stand of our new customer Deutsche WindGuard is not only solid as a rock, but that it also grabs the attention of trade fair visitors. We were awarded the contract at the start of the year and produced three stands in 2017 – most recently in windswept Husum. 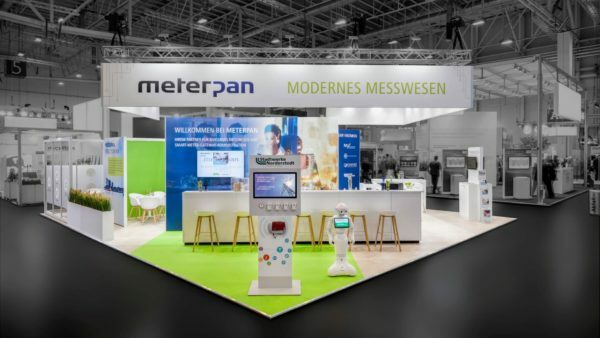 The concept can be adapted for all possible stand sizes, whether 30 m² or 80 m², which saves money and boosts sustainability. 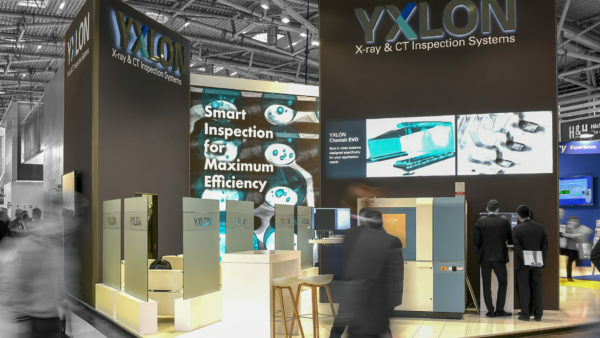 The stand concept can also be used internationally –e.g. in London and Amsterdam in 2017. 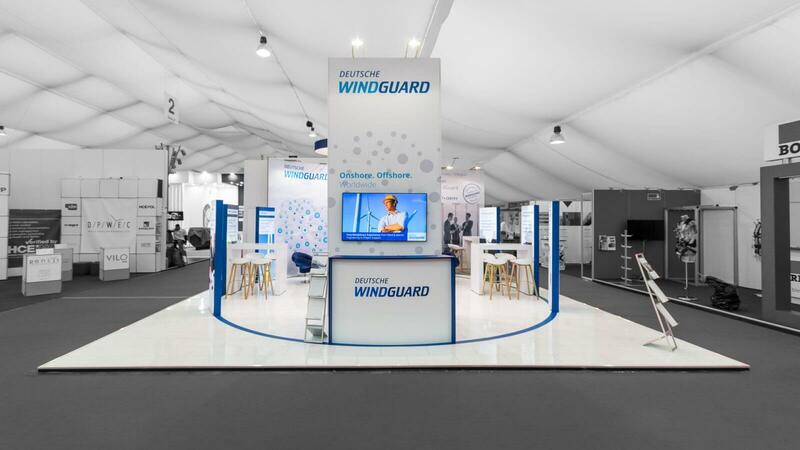 The stand focuses on the diversity of the WindGuard Universe portfolio, which is available as a one-stop solution and, on request, as an all-inclusive package. 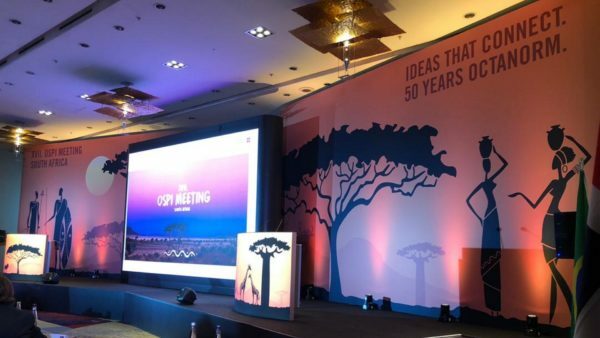 The 360° service is visualised by means of a circular design and corresponding graphic elements, with individual illuminated columns each representing a product version. ‘The stand was excellent and the on-site management was flawless! 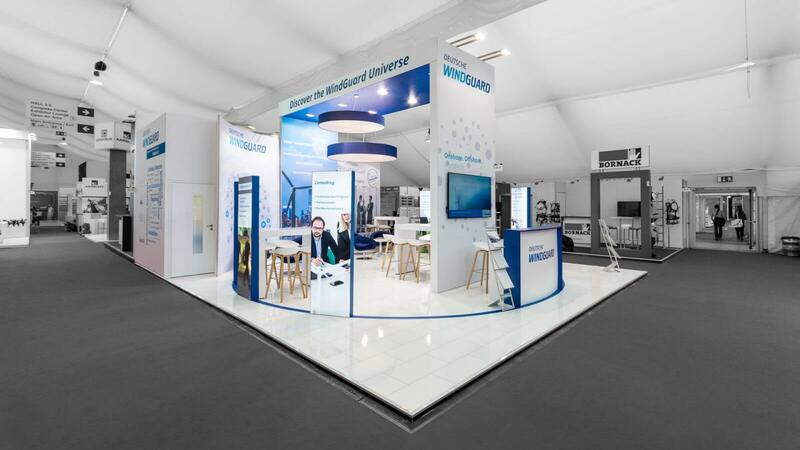 Perfect!’ said a delighted Cornelia von Zengen, Quality Manager at Deutsche WindGuard GmbH. That’s what we like to hear. 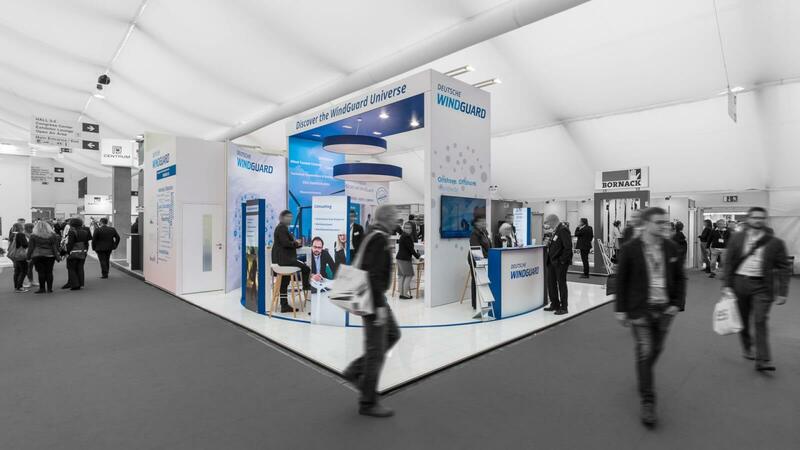 At HUSUM Wind, we also developed the stands of our new London-based customer Panduit (42 m²) and our loyal regular customer Assystem (24 m²).